Dr. Gorrell earned a bachelor’s degree in youth ministry from Azusa Pacific University and a MDiv and PhD from Fuller Theological Seminary. She aims “to research things that matter to people and shine the light of the gospel on them.” Her book Always On: Practicing Faith in a New Media Landscape—to be released in May 2019—addresses the perils and possibilities of Christian faith in an era of massive technological change. The book she is presently writing shares findings from the Theology of Joy and the Good Life project at Yale University while addressing suicide and opioid addiction. Currently, Dr. Gorrell serves as Associate Research Scholar at the Yale Center for Faith and Culture at Yale Divinity School. In this role, she has developed relationships with over 250 scholars from roughly 150 institutions on four continents while managing metrics and evaluation for the project. She also teaches at Yale as a part of the Life Worth Living program, which aims to help revive a discussion around the question “What is a life worth living?” Dr. Gorrell is also actively engaged in writing, speaking, and teaching on subjects related to joy and contemporary visions of the good life. 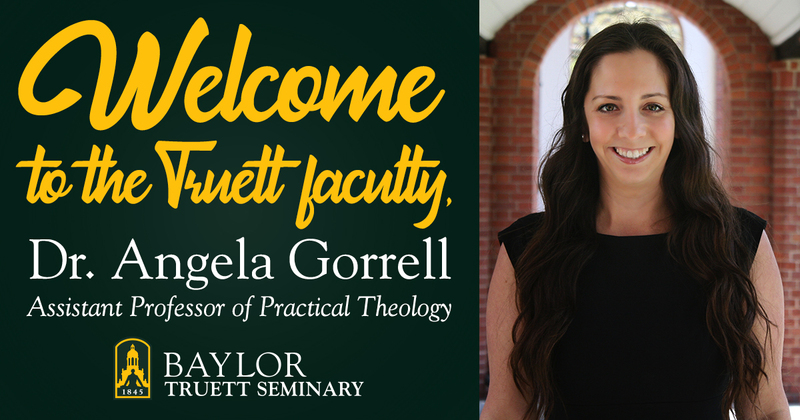 In addition to research and teaching, Dr. Gorrell has over 14 years of experience in congregational and parachurch ministry, including serving on the preaching and worship planning teams at multiple churches and within youth and family ministry programs. She currently serves as a chaplain at a women’s maximum-security prison. Dr. Gorrell is married to Paul Gorrell, the founder and director of Peace Right Here, a non-profit organization focused on alternatives to violence. Together, Dr. Gorrell and her husband enjoy being outside and hitting the gym as well as sharing meals and conversation with friends. They are very excited to trade the cold winters of New England for the Texas heat.